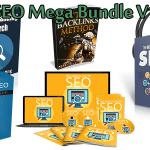 Are you looking for high quality PLR in the SEO niche? Look no further! 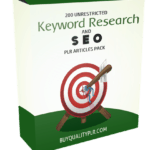 BuyQualityPLR.com is proud to present you with a exclusive in-house written SEO PLR pack that you can use to grow your business. The SEO niche is highly in-demand and finding quality content in the SEO niche can be very hard. 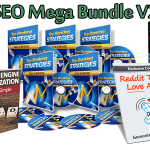 This is why we’ve decided to create our own exclusive SEO PLR content pack that you will not find anywhere else. This content is only available at BuyQualityPLR.com. 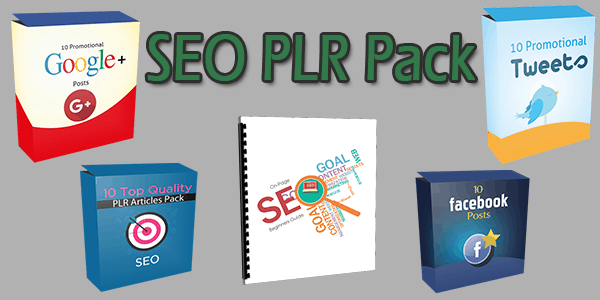 If you see our exclusive SEO PLR pack anywhere else with PLR rights, it’s not legal and it’s a fake PLR license. There are lots of frustrations to deal with in life, but there’s nothing more irritating than seeing your site outranked by a competitor’s. What’s more, the annoyance is magnified if you can’t figure out how they beat you. How can you truly be competitive if you don’t know where (or how) to begin? To help you achieve your goals, we’ve assembled a list of important on-page SEO elements that can help you dominate the SERPs. On-Page SEO: What is It? The term ‘on-page SEO’ outlines a set of best practices you can implement directly on your pages to improve their search engine rankings. With proper on-page SEO, you can assure that your code and your content follow Google’s rules, and it helps you cover the most vital factors the search engines use when ranking content. Simply put, these on-page criteria can mean the success or failure of your business. Now, with that out of the way, we’ll take a look at some of the most important factors you’ll need to focus on in order to achieve better on-page SEO. There are many important on-page ranking factors, but title meta tags are one of the most essential. These tags indicate a page’s relevance to Google by helping it understand the page’s topic and assessing how relevant it is to the user’s search query. The major search engines use these title tags to display the title of a search listing. Including your main keyword in title tags can help Google establish a page’s topic and determine the queries for which it will be displayed. When optimizing your page’s title tags, you should add the keyword at the beginning. According to research, Google ranks keywords from left to right, which means that they give more weight to those to the left of the page’s title. Description meta tags send Google additional relevancy signals. Although they’re not as important as title tags, descriptions are still a weighty ranking factor, and Google uses it when displaying descriptions for search listings. Therefore, including a main keyword is an easy way to boost your page’s rank and increase click-through rates. If your on-page SEO techniques have remained largely the same over the past few years, it’s time to wake up to what’s going on right now. While catching up after a few years can be daunting, even shorter lapses bring certain challenges, and you may be surprised at how much things can change in just a short time. To get back up to speed, use the below checklist to sharpen your SEO skills. Add your site to Bing’s Webmaster Tools and Google’s Search Console to learn which factors are affecting your site’s search traffic. With site analytics, you can get valuable insights into your target market’s demographics, which can help you hone your marketing efforts. Page load speeds are a primary factor in on-page SEO. If it takes more than two or three seconds for your site to load, your visitors may get impatient and go elsewhere. With Google’s Page Speed Insights tool, you can learn what’s making your site slow and get some valuable tips on speeding things up. Another important step is to ensure that your CMS (content management system) has a search engine optimization plugin that lets you write titles, descriptions, image tags, page tags, and headers. These plugins should also permit you to format your articles with spell check, italics, bold print, and other features. Yoast SEO works with WordPress, and it’s a great choice. As you probably know by now, most web searchers get their information via smartphones, tablets, and other mobile devices. Therefore, it’s important to design your site with portability in mind. A consistent design language is key; your site should look the same, no matter where it’s being viewed. 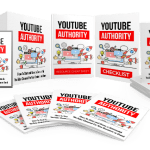 This is not your average SEO PLR content, this content has been carefully crafted and well researched to give you content you can feel proud to use in your SEO business. 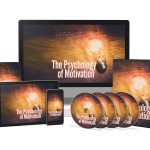 But remember, our exclusive PLR content packs are limited to 50 customers ONLY. So it’s first come first serve and once 50 copies have been sold, we’re removing it for good. So don’t miss out on your opportunity to grab full private label rights to our in-house written SEO PLR content while stocks last. You cannot give any type of resell rights to others. In other words, you can sell this stuff, but your customers can’t. Why? This protects all our members and helps ensure there is a consistent limit on the number of sellers of this PLR. We allow 100 members/sellers maximum. Period.